You probably will go to Google and type how do you start an online store or how to create an online store and there you will find lots of websites with lots of articles on how to start your own online store. But who should you sign up with? Which site builder would you be happy with? One thing you should think about before you spend and money trying to create a online store is can you try for free before you buy. 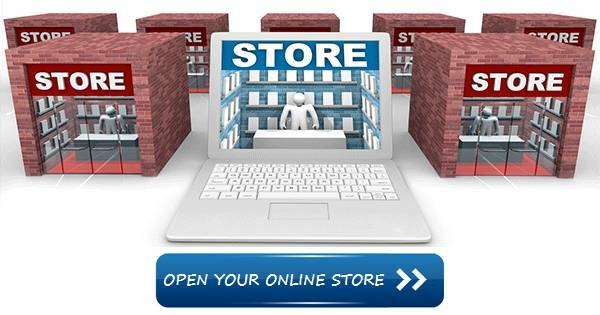 A good site builder will offer you all the tools you need to create a an online store for free for a few weeks to try. Free site builders that offer you a free online store have a catch, you need to upgrade to use all the tools the site builder has. You need to look for a free trial site builder like Easysite.com. An online store has its advantages over brick-and-mortar stores. Unlike brick-and-mortar stores, there’s no rent to pay for the premises. All you need is a domain name and your online store to be hosted on a fast reliable web sever. The editor must be simple to use and adding your products should be easy. Easysite will not only give you super fast reliable hosting, a free domain name and one of the easiest eCommerce site builders to create an online store with you also can try it free for 30 days and see if its right for you. See what our customers are saying on how easy it is to create a website with. No credit card needed. There’s the opportunity to reach millions of customers via the Internet and it can help you have a steady, passive income from the comfort of your home or office. Before you create an online store, you need an effective business plan, a responsive, user-friendly website, and some good products to sell. Read on to find out how you can start an online store without hassles. First of all, to have on an online store, you need to have an eCommerce website. You don’t always have to hire a professional website designer or web developer to create and maintain your online store. Easysite.com Gives You The Tools To Create An Online Store. It helps you build your online store from scratch. You don’t need to have knowledge of any technical aspects of an ecommerce website. You don’t need to learn technical jargon or programming languages. All you need to do is spend a few hours every day and your online store will be up and running soon and you will be selling your stuff online. Everything is really simple and affordable with Easysite. Customizing the Look and Feel: Easysite.com takes care of the coding, hosting and maintenance of your website. We work closely with you and help you design your entire store’s look, feel and functionality. We help you upload product details, set up the shopping cart system, handle order fulfillment and accept payments securely. You can update the site all by yourself. Uploading images, adding descriptions and even whole new sections to the website is just a matter of a few clicks. Things are made so easy for you, not just during the setup process, but also when your store is receiving more orders and you want to scale up or branch out in new directions. Choosing A Payment System: When you are starting out with your new online store, it is recommended that you choose PayPal as your payment system. This is because PayPal is widely known and trusted as a secure system for online payments. Though there aren’t any sign-up charges or fixed monthly fees required, be mindful of PayPal’s transaction fees. While they are unlikely to put a huge dent in your finances, it’s best to take them into account when planning your finances for the long term. Easysite.com makes it easy to integrate a payment system into your new store, so you can start doing business as soon as your store is complete. Analyzing Customer Data: Once you start receiving customers, you need to anticipate what they want and need, and you cannot do that without proper data. One of the best ways to record website data for analysis is to implement Google Analytics in your online store. Easysite.com offers this functionality across the board, so all your pages can be tracked and visitor data recorded. This helps you understand where your visitors are coming from, where they are spending most of their time on your website, and which page they leave on. If you want more customized data, you can even design surveys using Easysite’s survey feature, and get feedback directly from your customers about what they love and hate about your website. 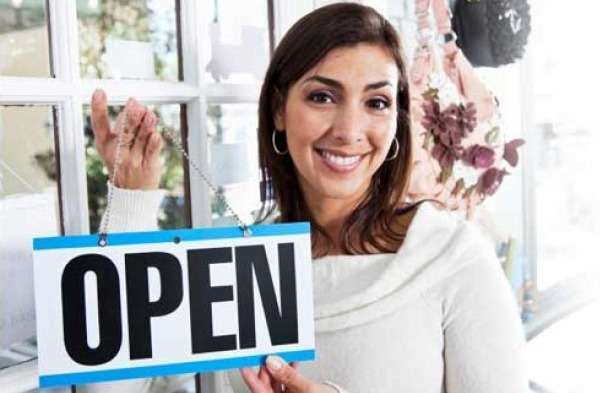 Marketing Your Website: Once your online store is ready for business, you have to market it. This is a process that never really stops, and it’s crucial to promote every new feature, product line or deal in your website. One of the easiest ways to do this, with the best conversion rates, is newsletter blasts at periodic intervals. In addition to websites, Easysite.com allows you to easily build attractive newsletters that you can then blast to your database of current and potential customers to ensure they remain aware of what you are doing. Ideally, you should also have a strong social media presence to promote your online store. Easysite.com allows you to place links to prominent social media platforms throughout your online store, so that your customers can tell their friends about that amazing new product they purchased, right after they buy it! By letting your visitors post on social media directly, you are creating word-of-mouth marketing opportunities for yourself, which is a great way to get word about your website out there. Going Mobile: The web is no longer limited to the desktop. It is quite possible that mobile internet will surpass desktop internet in just a few years, if not sooner. As more and more of your customers go mobile, they will expect an online store that is tailored for those smaller screens and their own fingertips – one that is light and comfortable to navigate on their iPhones and Android devices. Websites that are built using Easysite.com are responsive in nature, which means that not only are they mobile-ready, they can even customize their look and feel to whatever screen they are being displayed on. In other words your site will look great on any device. Forget about building different websites for desktops, tablets, and mobile phones with a million screen sizes and dimensions, because a responsive website built on Easysite is good for all of them.